BSc(Hons); PGDip Arbitration; PGDip Adjudication, Certified Mediator, FCIArb; MRICS; MSCSI; MII, FPD. Based in Belfast,works throughout UK, Ireland and further as required. 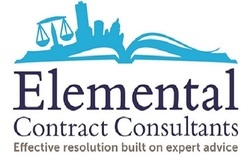 A dual qualified Chartered Quantity Surveyor and Construction law professional, Jarlath has extensive experience in the management and settlement of major construction adjudications, arbitrations, and mediations/conciliations acting for large building and civil engineering companies, employers, public bodies and sub-contractors both in the Republic of Ireland and throughout the United Kingdom. A Fellow of the Chartered Institute of Arbitrators (CIArb), Member of the Royal Institution of Chartered Surveyors (RICS) and Society of Chartered Surveyors Ireland he is often employed to provide early assessments of claims, both on quantum and liability. Jarlath has been appointed as sole arbitrator in the resolution of arbitrations by CIArb and RICS. Jarlath is also a Certified Mediator and may be appointed to facilitate mediations, particularly in matters of contractual claims under a final account. Jarlath has extensive experience in delivering many public training seminars and courses on contracts and dispute resolution. He regularly lectures at Queens University Belfast and Ulster University. He has also provided numerous in-house training seminars tailored to suit individual needs.